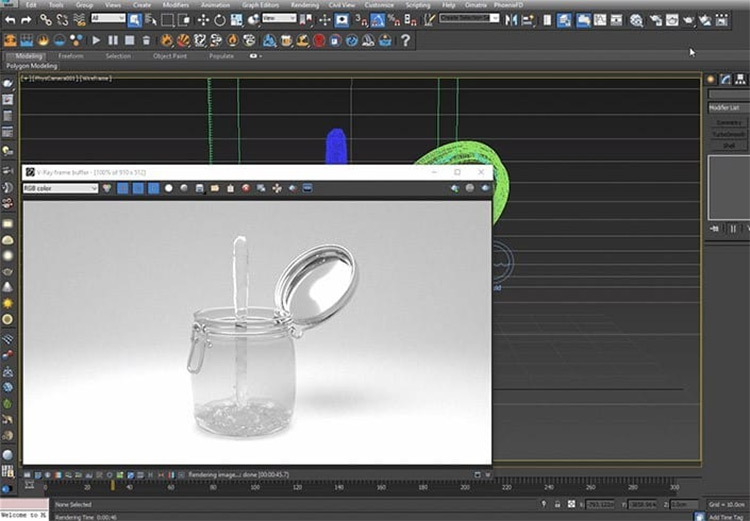 Autodesk’s 3ds Max is a very powerful 3D modelling tool in its own right. But what really makes it a powerhouse is its ability to use Maxscripts to make simple macros to speed up your workflow. 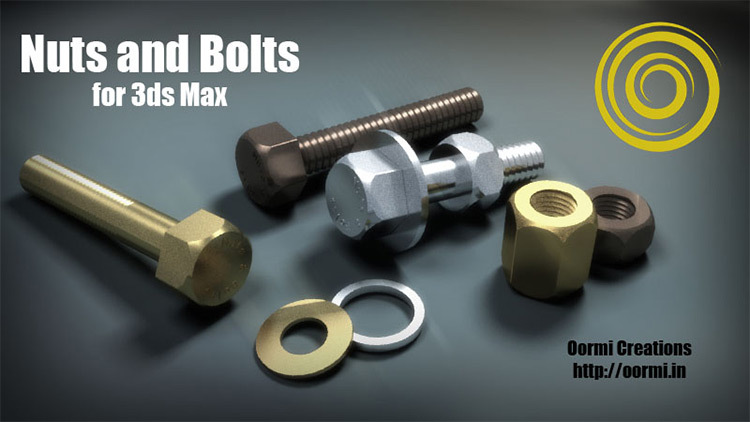 Also due to its popularity, a lot of third party companies build complete plugins from the ground up that are compatible with most versions of 3ds Max. This article will list 20 of the best free and premium scripts/plugins from around the web that people have created to speed up their workflow, make the UI more accessible, or add entirely new features to the program. Free is everybody’s favorite word. In general these scripts are not as powerful as some of the premium ones, having been made by an individual usually to solve their own problem which they then shared from the kindness of their heart. Still, these scripts are all very useful to have access to, I personally use almost all of these. This script does exactly what it says in the title: it takes whatever object you point it to and breaks it into as many pieces as you specify. It is very good for making broken glass or smashing sections of building. When combined with 3ds Max’s default physics engine, MassFX, it can make some very convincing shattering effects. This plugin allows you to make banisters and trims for interior and exterior building shots by using Max’s sweep modifier. It comes with a library of pre-set sweep shapes and you can add your own for future projects. It is a huge timesaver as it avoids you having to painstaking draw out the cross-section of your trims every time. Layers are an important part of the workflow in 3ds Max allowing you to keep sections of your model apart and easily categorize them. If your scene is starting to run a little bit sluggish, or if you want to export it into some other software and lower the mesh count to make it easier to keep track of, you may want to start merging objects. This merge by layer tool allows you to quickly and easily merge sections of your scene into one mesh while keeping the order that you have laid out in your layers. This script quickly generates rocks that you can use in your scene. It has several different rock types such as boulders or eroded settings. It even has a built-in feature to make a low poly version that is already UV unwrapped with baked in maps that you can then use in a game engine. The rocks can be easily resized and deformed after generation so you can make plenty of rock types to spread about your scene. From the same developer who made the rock generator is this excellent tool for generating stone walls or flooring. It has lots of parameters, like changing the walls size, the size variation between bricks and their offsets to make it look more natural. Like the Rock generator this script’s UV’s are generated with the geometry and the maps automatically baked in so it comes ready-to-use in most game engines. This is a simple script that can generate woven fabric quickly and easily. Modelling this manually would take a long time, but this plugin makes it almost instantaneous. If you have any need to make a woven fabric mesh I cannot recommend this plugin enough. It has settings to change the density of the weave, and even the shape of the thread (round for cloth or flat for a weave basket texture). This is a simple plugin that allows you to generate a grid over the viewport. 3ds Max comes with a grid built into the scene which is good for measuring and setting up geometry, but isn’t very good for composing a final render. This plugin allows you to draw a uniform or non-uniform grid over the viewport in 3ds Max that you can use to place your items in relation to the camera for a final render. It can also be used to make a safe frame around your scene, or margins to help you focus the eye on your scenes centrepiece. This tool can be used to randomly select a defined percentage of objects in your scene. This is useful for making small size or position changes to floorboards or stone pavements to give them a little randomness. It is also good for changing material ID’s so you can vary the materials used. If things look too perfect they won’t look realistic, and this tool is excellent at helping you break that uniformity in your scenes. When making metal objects or machines it can be tedious to add rivets, nuts, and bolts. But it’s always worth it for the way it brings out the final model in the end. And thankfully this plugin makes the whole process really easy! It allows you to just click once to add nuts, bolts, or washers to your objects. Now you get the realism of adding them to your scene in only a fraction of the time. UV PuppY is a very comprehensive plugin. 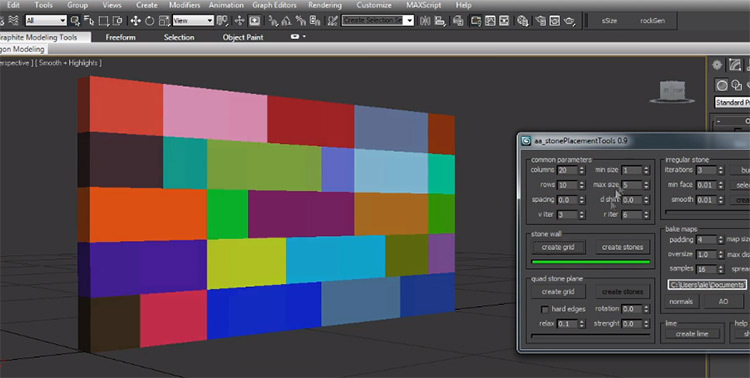 It is a large collection of quick select buttons that are usually hidden away in multiple menus in 3ds Max. It has a quick weld option and a lot of tools related to UV unwrapping. You can quickly flatten all the UVs in your scene with this tool which saves a step when you go into your UV window to clean your UVs. There are so many options with this plugin that I can’t list them all. I recommend you check out the main page and have a look for yourself. UV PuppY is a “pay what you want” script. You can get it for free but if you like the look of it you can make a donation to the developers. These are scripts and plugins that have features so useful and in demand that they come at a cost. Some of these are considered industry standards to have with your 3ds Max package(such as V-Ray or Corona for rendering). These powerful tools are all very useful and I have used a good portion of them in my own work. V-Ray by Chaosgroup is a render engine that is used in many high-end render productions. It has many powerful features that allow you to render scenes in the most realistic way possible. This is something that’s harder or simply not possible to achieve in the default render engine of 3DS Max. It can use CPU and GPU rendering to increase render speeds or have more accurate results depending on what you’re looking for at the time. It can also use an AI-based denoiser that can remove noise(the fuzzy dots that appear on some low quality images). It removes noise faster by only focussing computing power on the sections of the image where noise is prevalent. It comes with its own cameras and lights which simulate real world phenomenon from different light source types, or different camera lenses. Its price is a little steep at $380 a year(or £280 GBP) but many professional studios consider it worth the cost given the end results. Phoenix FD, also by Chaosgroup, is a particle based fluid simulation plugin for use with V-ray (although some other render engines are supported). It can be used to make realistic liquids complete with added effects like splashes and foam. It can also be used to simulate fire and smoke by changing the particle properties in the plugin window. It has an incredibly simple workflow to learn and excellent results have led to high profile productions using it; for example HBO’s Game of Thrones. It is priced similarly to V-ray at $315 a year but also worth the cost if you’ll be using it a lot. Sigershaders is a huge library of render ready materials for your scene. It’s compatible with both the V-Ray and Corona render engines. All the materials are organised into different folders so they are easy to browse. They all have clear thumbnails that show the material rendered in high quality so you know exactly what you’re getting. From there you can drag your materials from the Sigershaders window into your scene. The cost for this plugin ranges from $65 to $370 depending on what version you wish to use. Forest Pack by Itoo is a very useful tool for creating forest and wooded areas for your architectural scenes. It comes with several different trees and rocks built in and you can purchase or add more of your own models into its library. You can then use Forest Pack to scatter selected models from this library over a defined area. The options in this plugin are astounding. You can set the density of the objects(going as far as creating black and white maps to define different areas of density) and you can add randomness by changing the rotation, scale, and position. You’ll change all of these settings dynamically in the scene, as they’re only viewable at render time, making it light on computation power. The price for Forest Pack is currently $242 for one year or $352 for 3 years. Additional foliage packs are priced around $70-$150. Corona renderer is a very well regarded render engine in the architectural visualisation industry. It uses advanced path tracing algorithms to make photorealistic final renders. It uses PBR materials which have quickly become an industry standard, so materials made in other programs like Substance Painter can easily be carried over. With this comes a huge library of pre-set materials you can use in your scenes. It is even compatible with V-Ray materials and lights. If you get a file with those inside and you don’t have a V-Ray licence, Corona may be able to help. Corona can now use Phoenix FD which was only supported with V-ray. Oh how times change. Corona is a solid choice for a render engine and is usually interchangeable with V-Ray. The advantage Corona has is its price point: at only $290 a year compared to V-Ray’s $380. Character rigging is another part of the 3D world that a lot of people find tedious. InstantRig is a comprehensive set of tools that can make rigging and animation a whole lot easier. It has tools to easily build skeletal rigs for any type of model be it biped, quadruped, or any other variation. It has an InstantSkin option which allows you to skin a character to the rig in seconds with good results. You can always go in and clean up any parts that aren’t behaving as they should. It lets you save you¬r rigs as prototypes so you don’t have to start from scratch every time and it allows you to scale the bones and skinned mesh to any size without messing up the weights, which is a common problem in other solutions. It’s sold at a one-off licence fee of$99 so this is a great add-on to avoid the monthly recurring fees we see so often. 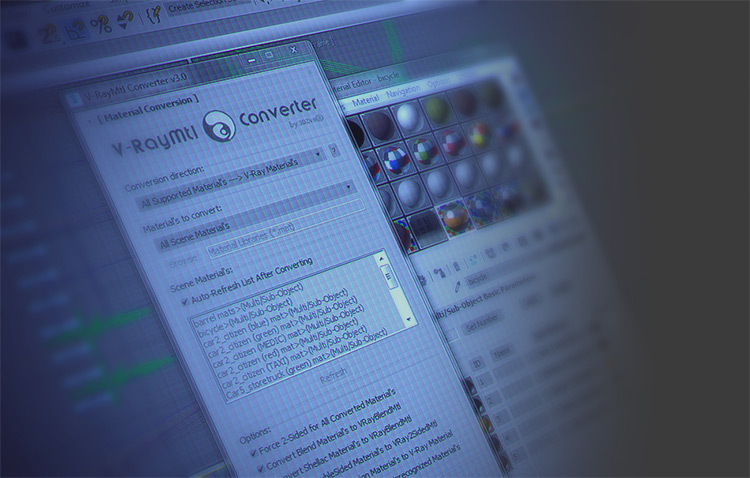 This is another plugin good for filling out the background of architectural renders. These are two different plugins but are made by the same developer and do broadly the same thing. Fast Housing generates houses which are good for a suburban environment, whereas Fast Architecture is better for making high-rises for modern city environments. They both use procedurally generated meshes that are easily customisable from the menus that come with the scripts. It’s the easiest way to fill a scene with good looking buildings to make your centrepiece stand out. The prices of these two plugins are very reasonable at only $25 each. PolyDetail 2 is a plugin you can use to draw ornamental details onto furniture or ceramics. It gives several different options and meshes that you can then draw out procedurally to create your own intricate designs. It comes with 12 default brushes with the option to add your own so the possibilities are endless. This plugin is currently priced at $39 with the option to pay a lower price for the developer to consider. WebGL is an exciting new way of rendering interactive 3D content directly in a web browser. It was first released in 2017 and is currently developed by Mozilla. The ability to export this format directly from 3ds Max can be very useful if you’re building a website that requires some interactive 3D media in it. Or if you just want to play around with the WebGL framework a bit. The price for this plugin is $79 which may be worth it if you need to do this often. Otherwise you may be better off using something like Unity to do it for free (assuming you don’t mind their logo on your work). V-Ray is a very common render engine. This means you may get scenes that have V-Ray materials that you need to convert to standard materials so you can use them, or you may have standard materials and want to convert them to render in V-Ray yourself. Converting materials manually is a pain. Especially in larger scenes where the amount of materials can number into the hundreds, so having this tool to do it automatically for you is a real time saver. The price is also basically a steal at only $24. This plugin allows you to add realistic snow to your scenes. Seems like a very limited use plugin but certainly helpful in some cases. It has settings to simulate snowfall automatically in your scenes and you can use custom parameters to make it as light or heavy as you like. If the result isn’t quite what you want it even has the option to paint in your own snow which can then be merged into the existing snowfall to make seamless mounds. This plugin is currently priced at $39 with the option to offer a lower price if you want. Hopefully you’ve found some useful tools in this list to help in your modelling workflow. Some of these have become so engrained to my modelling and rendering process now that I’d struggle to live without them. Quick Tip: scripts are usually very small files and can be quite hard to track down if you lose them or if the site they were initially hosted on goes down. Due to this I suggest making several backups of all the scripts you regularly use just to be safe. If there is something in particular you are looking for that wasn’t mentioned in this article, the website Scriptspot is really helpful to search for similar 3ds Max plugins. 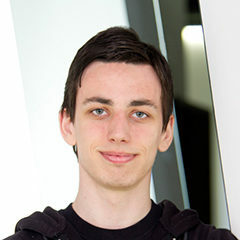 Thomas is a 3D creative working with both high and low poly modelling for still renders or real time engines. He is currently working freelance after spending 4 years at a multi-national VR company. To see Thomas' work and learn more, feel free to look at his personal site.